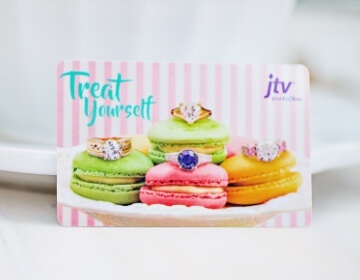 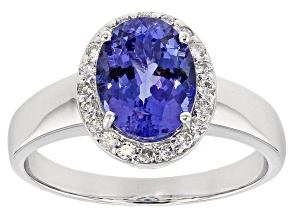 Take her breath away with tanzanite engagement rings from JTV. 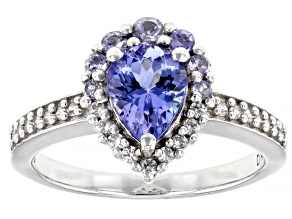 Available in a variety of stunningly beautiful styles, these tanzanite engagement rings are perfect for your loved one. 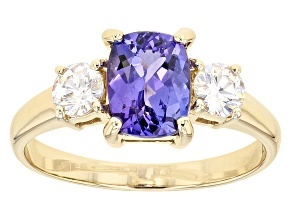 Make it forever and always with a tanzanite engagement ring from JTV. 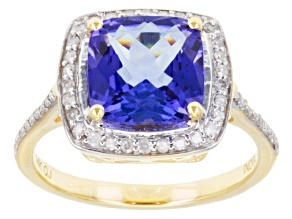 Blue Tanzanite 10k Yellow Gold Ring 1.97ctw. 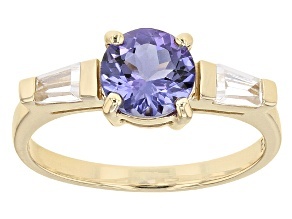 Blue Tanzanite 14k Yellow Gold Ring 3.06ctw. 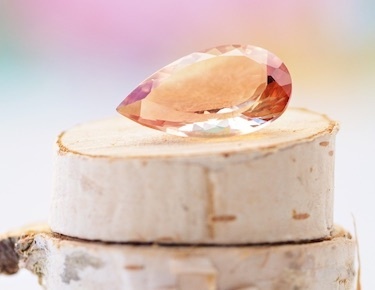 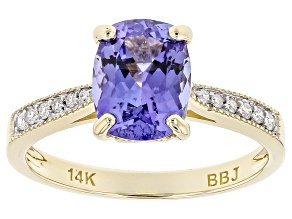 Many brides dream of their wedding day, their future beau, the proposal - the engagement ring! 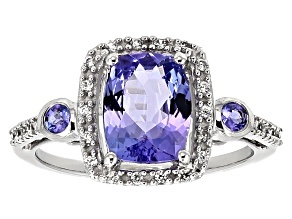 - and not every bride dreams of diamond rings. 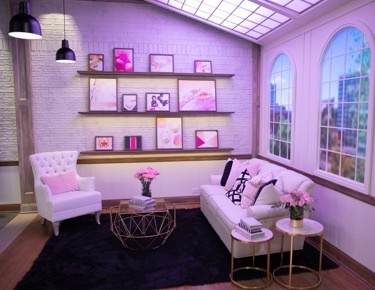 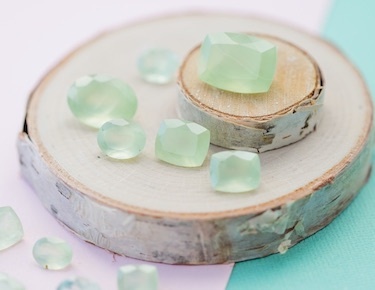 Some brides-to-be dream in full color. 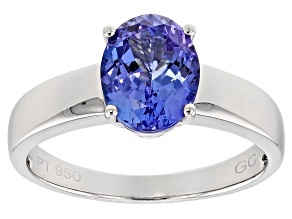 For those who would like their engagement ring to be both their 'something new' and their 'something blue' - and are in love with the trichromic look of this unique stone - a tanzanite engagement ring may be the perfect choice. 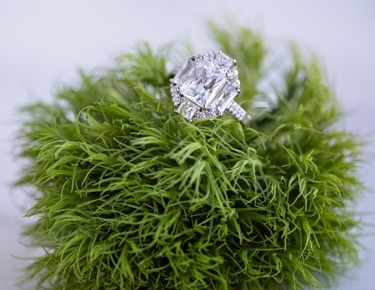 Every bride is unique, and each bride-to-be deserves a ring as unique, beautiful, and special as she is. 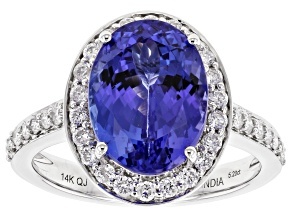 Dazzle and delight, sparkle and shine when you say 'yes' and 'I do' and every day afterward when you wear your tanzanite engagement ring from JTV. 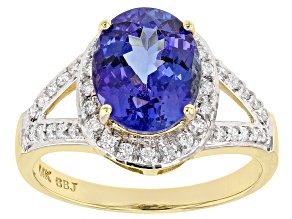 Just like wedding jewelry and engagement rings featuring other stones, tanzanite wedding jewelry and engagement rings come in a range of styles. 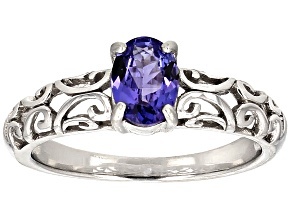 From elaborate, romantic pieces filled with filigree and flourish to simple solitaires or three-stone pieces, there's something for every bride-to-be in the collection of tanzanite engagement rings at JTV. 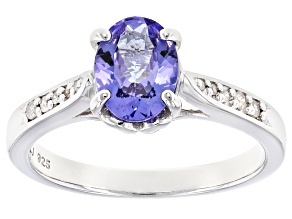 If a winter wedding is what you have in mind, tanzanite wedding jewelry is the perfect companion. 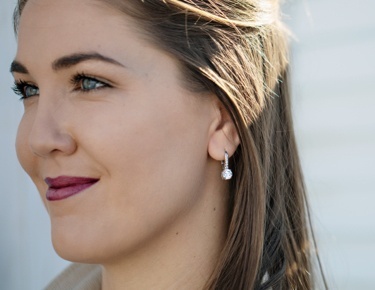 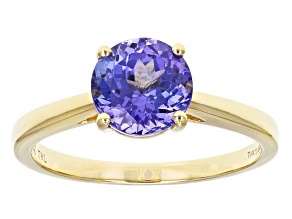 The cool hues of tanzanite earrings and bracelets will match with winter wedding color schemes perfectly. 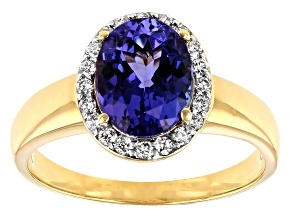 If the bride is a December baby, well, a tanzanite engagement ring can double as a nod to this; it has recently been added to the birthstone list as a December birthstone. 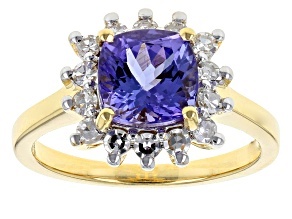 Whether set in yellow gold, white gold, or silver, tanzanite is sure to dazzle. 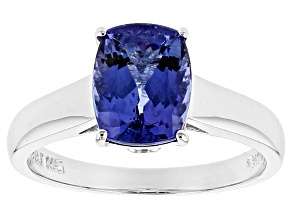 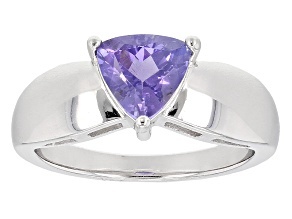 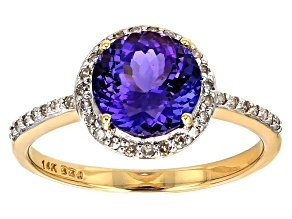 Want to pair a tanzanite engagement ring on an anniversary? 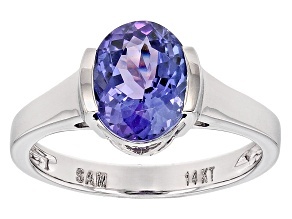 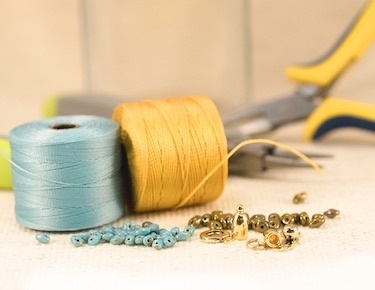 Find the perfect tanzanite necklace to complement it - or mix-and-match with sapphires, amethysts, and other stones in the tanzanite color family. 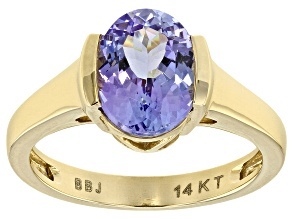 No matter the budget or style, JTV has the engagements rings for everyone.